SAN BERNARDINO’S FAVORITE LUXURY LIMOUSINE FLEET! CALL TODAY! 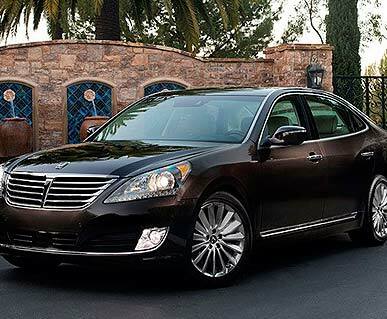 Limo Service San Bernardino is the premier transportation service in San Bernardino. We provide a slew of different transportation services which include airport shuttle service, chauffer limo service, concert limousine service, graduation limo service, corporate transportation, funeral transportation for family, and many more. We have over a decade of experience in the transportation industry. We know how important it is to get our clients to their desired destination safely and on time. Whether you are attending an important business meeting or you are going to a music festival, we believe that everyone deserves the same quality of service. No matter your group size, our experienced team of chauffeurs have at their disposal our entire fleet of luxury vehicles. This includes sedans, SUVs, limousines, van sprinters, and party buses. Rather than rely on a taxi service where rates can fluctuate depending on demand, you can book with us and pay a defined price beforehand. Clients in our community have diverse needs when it comes to transportation, from a limousine service, car service, transportation service, bus and coach company, and an airport shuttle service. OUR PROMISES TO OUR CLIENTS! THIS IS WHAT WE DO! WE EXCEED EXPECTATIONS! Our polite, experienced, safe drivers are standing by right now to chauffeur you anywhere you need to go n one of our private luxury automobiles. The choices you have for your San Bernardino limousine rentals range from sleek town cars, stretch limousines, stretch SUVs, party buses, and more… Questions? Quote? Schedule event/party transportation? Call San Bernardino Limo Service today! Whether it an San Bernardino Airport Limousine, a San Bernardino Wedding Limousine, a San Bernardino Private Event Limousine or a San Bernardino Corporate Limousine, San Bernardino Limo Service offers the right vehicle for the right occasion. Our project managers, dispatchers, drivers, and support personnel work in unison to ensure that you and your party have the best possible luxury transportation experience. Questions? Quote? Schedule event/party transportation? Call San Bernardino Limo Service today! CALL SAN BERNARDINO LIMO SERVICE FOR THE BEST LIMOUSINE PRICING!